A perfect middle-of-the-road slow cooker that's perfect for making small meals. A step up more than total budget versions, but without unnecessary fancy features, this is a reliable cooker from a long time trusted brand. 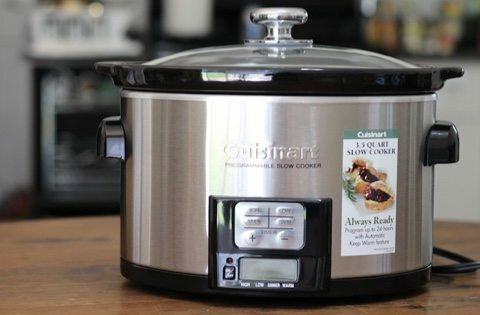 This model was one of the first slow cookers I ever used, and I was very impressed with the whole slow cooker recipes thing. 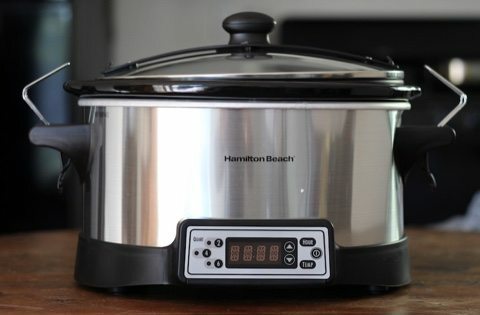 This is actually one of my all time favorite slow cookers that I've tested, and I've used more than 50 doing reviews for this website. Why? 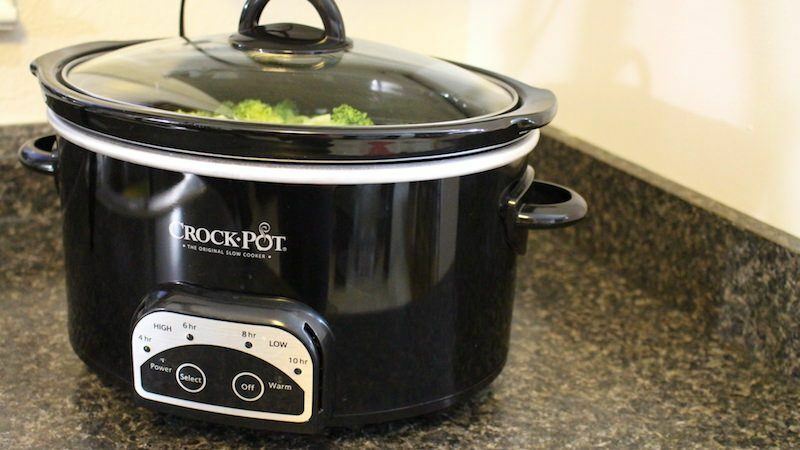 The Crock Post 4 Quart Smart Pot fits right in the sweet spot for bachelor cooking. It's well-priced, which makes it inexpensive, but it's not a cheap-o budget slow cooker option. It's got a sleek black design, and a few options for more precise cooking than some of the more basic models. It doesn't have a rubber gasket which can wear out and get smelly if not washed properly and the cooking part is made of durable stoneware. In other words, maintenance is very simple and easy…just like the meals you cook with it. Lastly, even though a six quart cooker is more common, making meals for a single person or couple makes much more sense in a smaller crock. Rather than cook meals for the whole week, I like to make just enough for one or two leftover meals, then make something new next time! 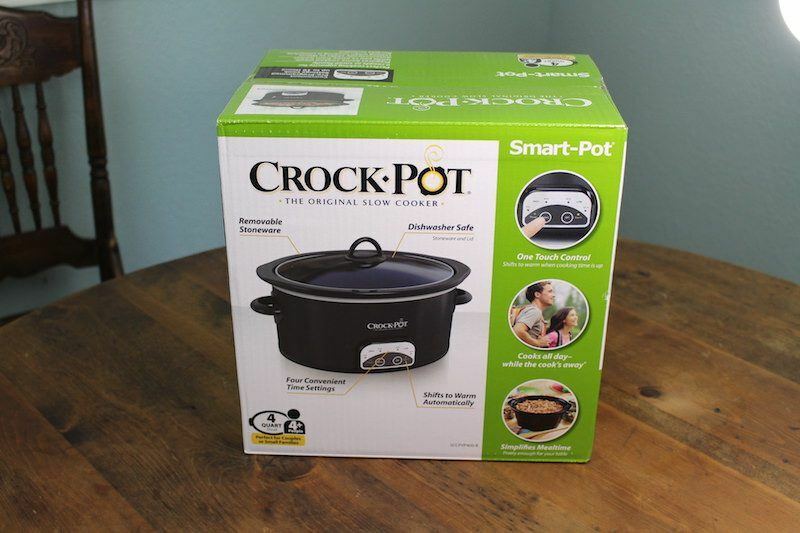 The 4 quart Crock-Pot Smart Pot has your typical oval shape, and black, removable stoneware. The lid has a black, head-resistant handle, and does not use a rubber gasket seal. I like to use crock pots without the rubber gasket because they do not absorb any off flavors and don't require replacement over time. Though this device is in the middle price range of cookers, and many comparably priced brands have programmable timers, this one does not, which is one of the negatives of this particular model. But hey, slow cooking really isn't a precise method of cooking anyway, so the lack of this type of feature may not bother you. This smart also uses the standard low and high settings, but also has two settings for each. So you can do a 4/6 hour setting on HIGH or 8/10 hour setting on LOW. 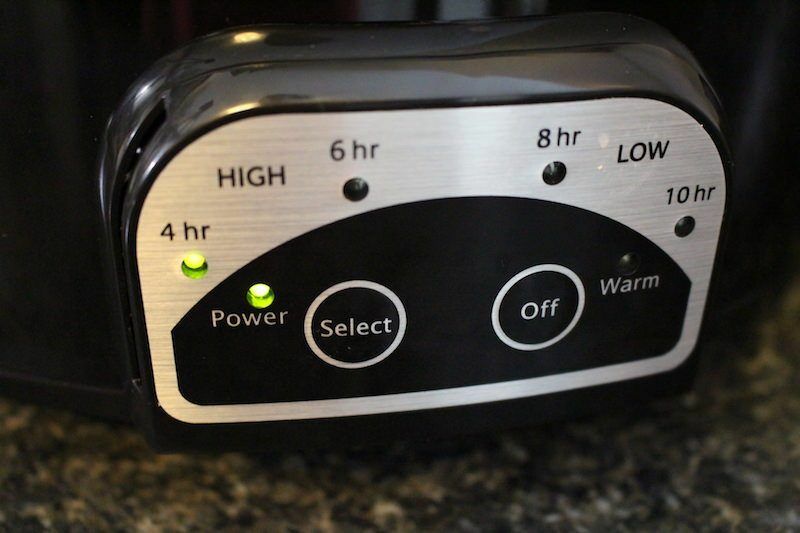 This does give you a good amount of precision when cooking, or at least more than the basic models which only offer warm, low, and high settings without a timer. There's also a light which indicates which setting you're using. that might seem obvious and expected, but not all models have this and it can be easy to forget if the cooker is on or working properly! To test out the 4 quart Smart Pot I made a broccoli and beer cheese chicken soup. The soup itself didn't turn out great, but it was alright. I was hoping to get actual broccoli cheese soup, but instead had to settle for cheese soup plus broccoli. It was my first time using the recipe tweak! That being said, the Crock Pot did great. Everything was cooked thoroughly and evenly. My favorite part was the cheesy broccoli. 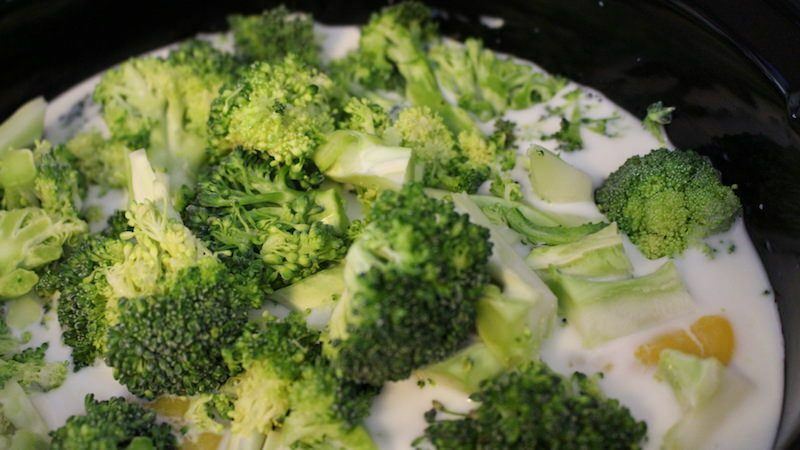 Broccoli that's been slow cooked has a much different flavor than if it's been pan fried or eaten raw. I liked that I was able to cook this soup on low for 10 hours as well, since I was busy during the day and knew that I wouldn't be around until later that evening. When comparing the Crock Pot Smart Pot 4 Quart to other 4 quart models, we can look at them in two different lights. When comparing to other 4 quart slow cookers in similar price range, this one is my #1 pick! Yup. Out of the five devices I tested, this one was my favorite. 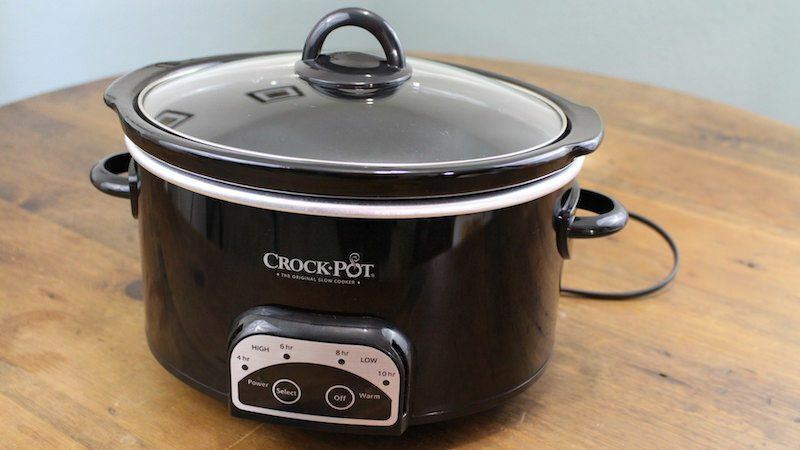 You could also compare this model to other Crock-Pot brand cookers, which come in different sizes, prices, and have a huge variety of features. While this is a very cool kitchen tool, it didn't make my top 5 list for Crock Pot brand cookers. For the price, you can't beat it, but in comparison to more expensive models, there are many more cool things out there like digital timers and wifi capabilities. If you want a stripped down version, there are cookers available for about twenty bucks, which is 1/2 the cost of this one. It's also a 4 quart version, which fewer people tend to want. So because this pot is such a “middle of the road” model, it tends to not stand out. But that's precisely why it's one of my favorites! 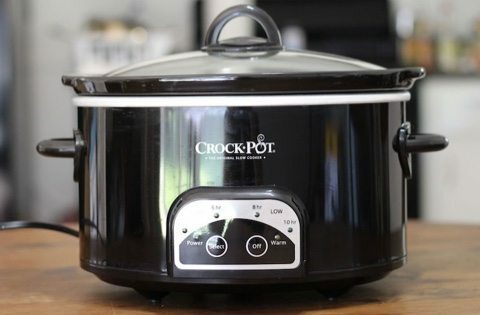 The Crock-Pot Smart-Pot 4 Quart Digital Slow Cooker in Black is great for someone with simple slow cooking needs, that doesn't want to skimp and get the very basic budget model. Since you have a bit more versatility with cooking options, this could be a great upgrade if you've been using one of those cheap ones for a while now. Also, if you aren't feeding a family of four or planning meals for the whole week, then the smaller capacity would work well for you as well. For those that are not a fan of rubber sealed lids, this is also a model which will be great. Personally, I prefer the glass/stainless steel combination like you see here. 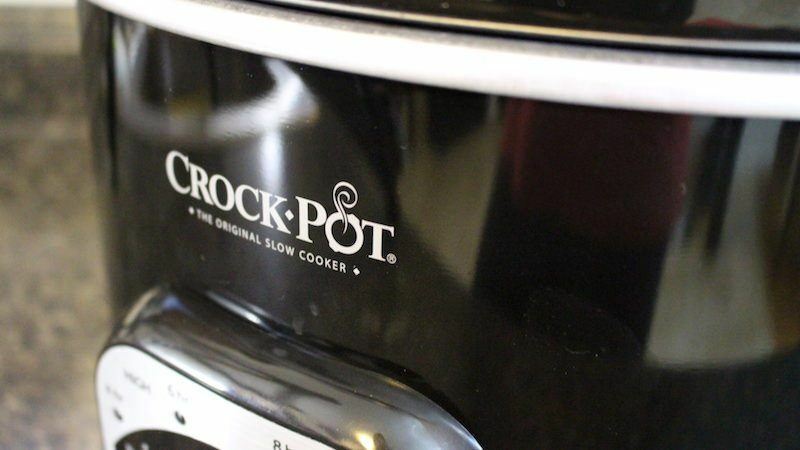 I really enjoyed cooking with this Crock-Pot slow cooker! 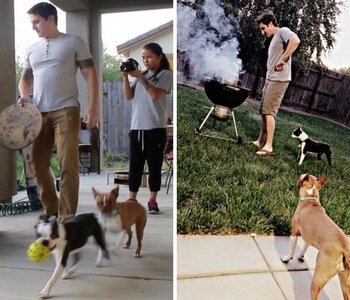 It was simple to use, and I can easily see why it's getting such good reviews. It's very inexpensive for the quality you receive, and if you consider that most cookers last years, then the price you pay today is almost nothing, especially if you use it frequently. ==> Get The Crock Pot Smart Pot 4 Quart Slow Cooker Here!